I was recently asked to share my first outfit post ever on this blog by a few fashionistas- to share via instagram or here my very first outfit post. Ironically, this post still happens to be my very fave post to this date & not just because of obvious sentimental value. It’s an outfit that I still love and wear. You might find familiar the first photo above. It’s my profile photo on many of the social networking sites I am part of. Can’t believe how much this website has grown within the last year~Without you all that wouldn’t be possible. Thank you~! fur, leather, & platforms can change a girl’s mood in a heartbeat. These are such beautiful photo’s. I love how you’ve mixed up the textures. You can’t beat perfect, classic black! You look so beautiful! I can see why you love this outfit. 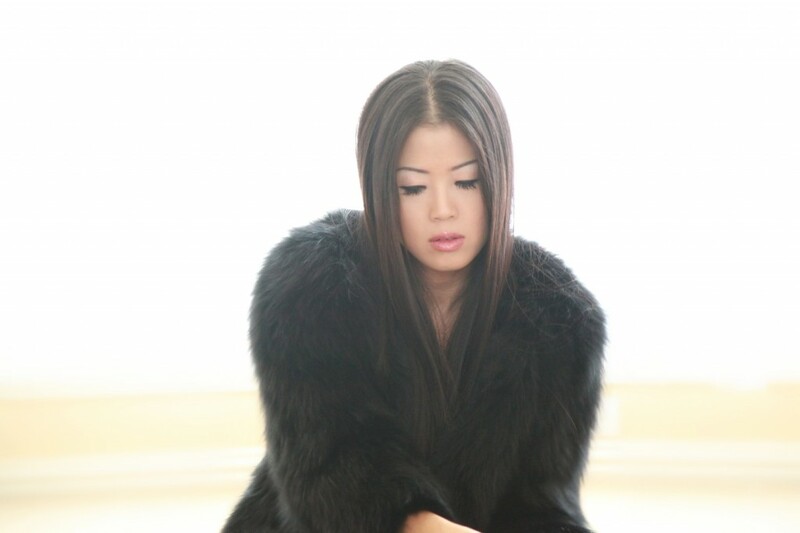 There is something so glamorous about fur and leather! These photos are so pretty…I can’t believe this was only your first post. You look like a model! such a chic outfit! when i need inspiration on chicness, i come to your blog! =) no joke! Gorgeous look! I don’t know when you started this blog, but if those were your first outfit pictures, you have not aged one bit! Cool to see your first outfit post. And of course the outfit looks amazing. Tip to toe perfection love! Something I’d totally rock in a heartbeat! I’m that gal who’s always cold, so even in spring I’d bust this coat on! Thank you for the blog visit love! Hope to see you back soon! wow gorgeous outfit, the all black is so chic! So gorgeous!! That first photo is my fave one of you ever. this is head to toe stunning!! wow!!! just breath taxingly gorgeous!! YOu rock Fur like its your own skin…haha. that was F**kin random, right? lol. i love you and your blog…your blog did blew up in such a short time…but your beauty and keen sense of fashion lures other followers to follow you. You deserve everything that you have in life. I know you work hard. very inspirational…i know i have told you this from day one. its true. Thank you. You have one of the best fashion blogs (and there is a liiittle competition in that area:) and you deserve to have a huge audience! xo C.
Awwww thanks for sharing your 1st ever outfit post Sooae. It’s a great one btw & glad to see how far you’ve gone with your awesome blog….MORE POWER! Totally love the fur coat! Great look! I love the fur coat! I see why you still wear this outfit! It looks fantastic. What a gorgeous faux fur coat! You look absolutely stunning 🙂 Just as you always do! This look is fabulous! I can see why it is your favorite. Gloves and a hat make me feel the same way. still gorgeous and hot as ever! loooooove that coat! No wonder why you still love to wear this outfit, its just fabulous! super love the fur! Thank you for always leaving me lovely comments, I appreciate it. Hey! Want to follow one another on Facebook too? I’ll join your Page now. You look so glamorous in the fur coat and head to toe in black. Your blog has grown so much in just one year. Wow…. I must say this…. you are a very beautiful girl…. Love the jacket and the post..!! !